This morning, 400 workers from EMCOR/Marelich, Tishman Speyer, Lend Lease, and job site construction workers donned matching pink shirts and hard hats atop the 9th floor of Lumina rising at 201 Folsom. (We got these awesome aerial shots from the neighboring tower on the 16th floor.) 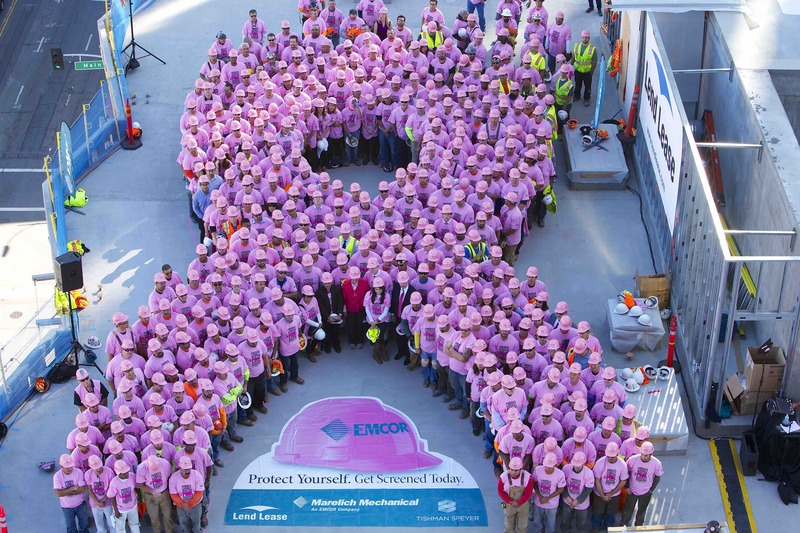 This is the sixth year in a row EMCOR has traveled across the country creating pink hard-hat ribbons. Lumina’s stop is the second of six across the US this month (yesterday, a La Jolla building got the pink honors with a whopping 650 participants and next up is an NYC site).